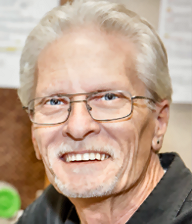 After 17 years of service to the communities and radio station group, AZ Hometown Radio Group VP/Broadcast Operations Ken Byers has died at the age of 62. He joined the company just one week after 9/11 and led the broadcast operations right up to when his illness forced his retirement in October. Byers anchored "The Morning Mix" on KPPV and made significant contributions both on-air and behind the scenes on all of its stations. Born in West Virginia, Byers began his Arizona radio career in 1990 at KCKY in Coolidge and advanced to a position with KTAR in Phoenix the following year helping with technical and production for the "Pat McMahon show." Byers was able to rub elbows with the likes of Walter Cronkite, Alice Cooper and Paul Harvey. In 2000 he left KTAR to be the morning voice of KTHQ in Show Low, AZ. the following year, he made the move to KPPV and KQNA. What followed was a career that saw Byers move from morning announcer to production supervisor to Vice President of Broadcast Operations with what became Arizona's Hometown Radio Group. He had garnered several Associated Press awards for Best Newscast and Best Live Reporting. Byers also earned a "Silver Microphone" for creation of the KPPV 20 year anniversary montages. Among the many charitable organizations Byers actively supported and volunteered for over the past 17 years include Yavapai Big Bros, Boys and Girls Club, United Way, Trauma Intervention program and all local Chambers of Commerce. Ken has voluntarily emceed hundreds of events seeking to make each one both fun and successful for sponsoring organizations. When asked what he will miss most about being in radio, Byers said, "The relationships I have been fortunate to create and to be able to work at my life's 'dream job'. The hardest thing for me is to leave a job and people that I love so dearly who have been supportive even while I have been going to Phoenix for daily treatments. This is what I have wanted to do even as a little kid so that makes it hard to leave." He is survived by his wife, Shannon and daughter Charlotte.